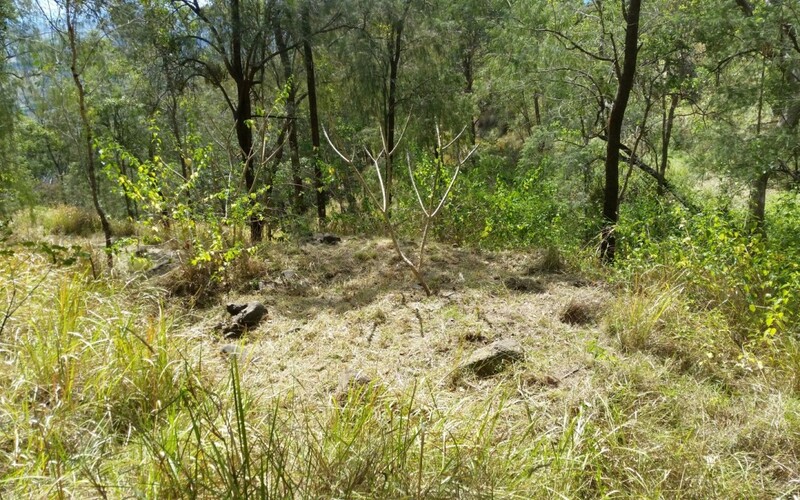 Large swathes of the property have been neglected over the last 10 years, and Lantana, Kangaroo grass and a multitude of other pests have become dominant in previously managed areas of the property. So we have set out to ‘manage’ many of the areas again, with a focus on minimally disturbing the native flora, fauna, and habitats. We have cleared many of the paths to the south of the house, and will continue down the Lower Road, all the way round to the northwest side of the house. 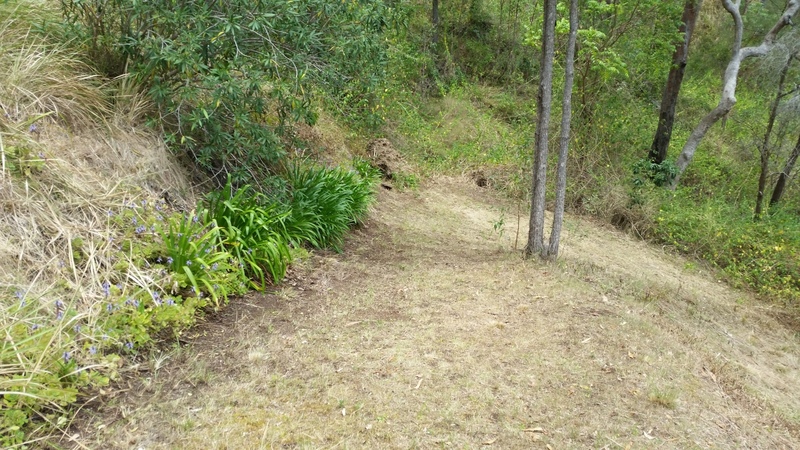 Having cleared the South Path, we continued down the hill – which is rather steep – across the gully and along the lower South Road, as well as the Lower Road. 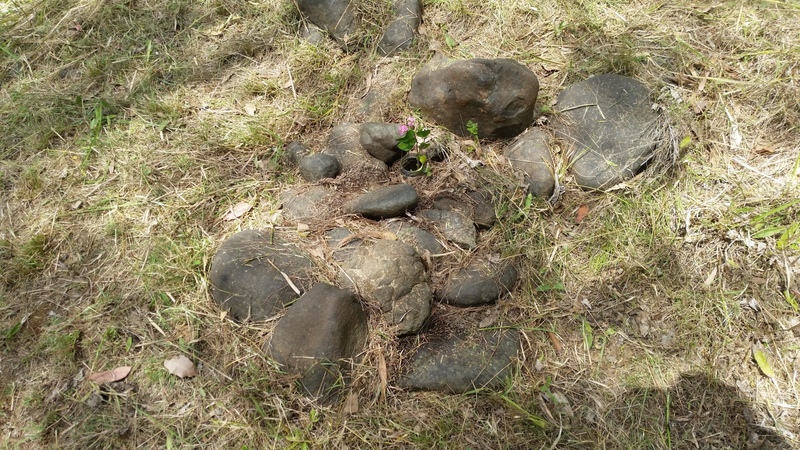 This led us to an area, previously hidden by Lantana and high grass, that appeared to be a pile of large rocks that had been deliberately placed. Our first thought was of some mini-Stonhenge or something similar as it was definitely not what we expected to find. 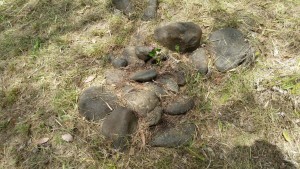 At least one “grave” was identifiable, and as we cleared more overgrowth at least one other “grave” appeared.